Barclays failed to establish a critical compliance foundation when it acquired Lehmans advisory business, the regulator says. Barclays Capital Inc. agreed Tuesday to pay the Securities and Exchange Commission $15 million for failing to maintain an adequate internal compliance system to ensure the firm did not run afoul of any federal securities laws after its wealth management business in the U.S. acquired the advisory business of Lehman Brothers in September 2008. The SEC said that an exam performed by the agency and a subsequent investigation found that Barclays “failed to enhance its compliance infrastructure to integrate and support the acquisition and rapid growth of the advisory business from Lehman.” The deficiencies in its compliance systems contributed to other securities law violations by Barclays, the SEC says. 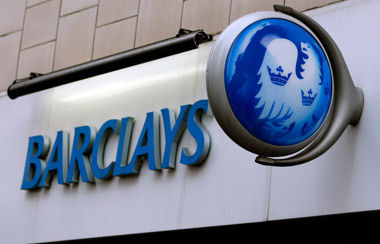 Barclays has also agreed to undertake remedial measures, including engaging an independent compliance consultant to conduct an internal review. Investment advisors are required to adopt and implement written compliance policies and procedures reasonably designed to prevent violations of the Investment Advisers Act and its rules, the SEC says. According to the SEC’s order instituting a settled administrative proceeding, Barclays failed to adopt and implement written policies and procedures and maintain certain required books and records to prevent the other violations. For instance, Barclays executed more than 1,500 principal transactions with its advisory client accounts without making the required written disclosures or obtaining client consent. Barclays also earned revenues and charged commissions and fees that were inconsistent with its disclosures for 2,785 advisory client accounts. Check out Wells Fargo Fined $5M Over Advisor’s Insider Trading, Altered Document on ThinkAdvisor.